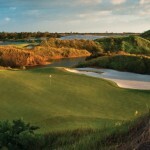 In a beautiful setting with dramatic contours, Streamsong® Resort comes alive on 16,000 acres in Central Florida. It stands alone, surrounded by nature for miles and miles. roll off towering sand dunes. 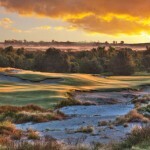 It is golf for the purist, an experience unlike any other in the region. The Streamsong® Clubhouse features 12 custom-designed guestrooms, a steak-themed restaurant and bar with private dining, 4,500 sq. ft. of meeting space, a fully equipped golf shop, personal caddy service, and an expansive lakeside terrace overlooking the short, finishing bye hole. The Streamsong® Lodge features 216 luxury guest rooms with breathtaking lake views, fine and casual dining, a full service spa, fitness center, outdoor lakeside pool and rooftop terrace. The Lodge also offers an additional 10,000 sq. ft. of meeting space, hiking and birding trails, Sporting Clays and guided bass fishing on one of the resort’s many lakes. 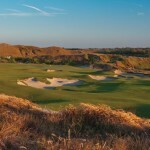 To make a tee time, visit www.streamsongresort.com.